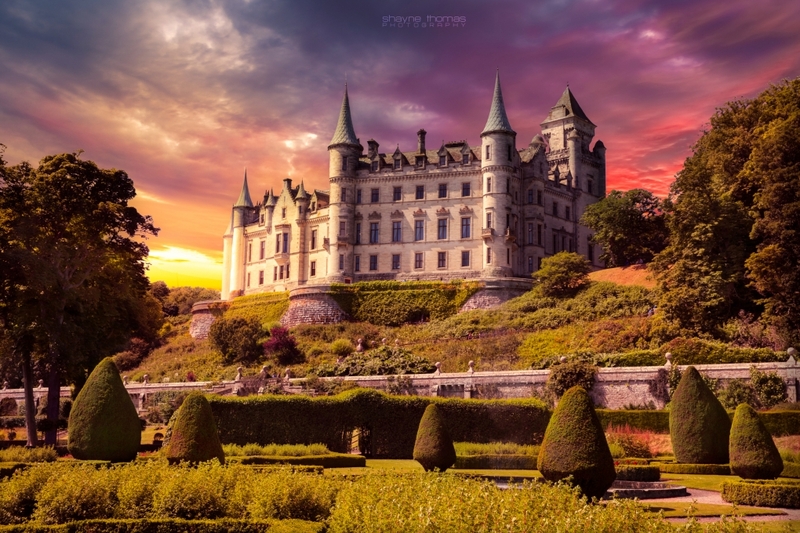 A composited image of Dunrobin Castle in the Scottish Highlands. I had the real honor of shooting the wedding of the Lord's daughter the other weekend. A shoot i will never forget. This image originally had a grey/rainy sky and its my first real attempt and sky replacement. Any feedback, C&C and support is welcomed with open arms. P.S I am aware of the fact that the light source doesnt match the shadows and for that, I apologise. I wouldn't worry too much about the light source matching the shadow(s). I've seen many composites from highly regarded photographers where there's mismatched light all over the place....doesn't seem to take a away from the wow factor of the image(s). This is great regardless of the 2 sun scenario!!! This is stunning work....well done! Don't worry about the lighting. Who's to say that all the lights from a soccer field next door (albeit imaginary) weren't trained on the castle and its gardens. A wonderul photo with great colours.